Florida Palm Construction, Inc. is dedicated to serving both the residential and commercial needs of our clients. We specialize in helping our homeowners remodel, renovate, or build their dream home to their exact specifications. We service Broward and West Palm Beach counties and are licensed and insured as a Certified Building Contractor (CBC1260339). Our team is trustworthy, diligent, and on-time and we are confident that by working together we can help you create the home you have always envisioned. Our services include: KITCHENS BATHROOMS COMPLETE HOUSE REMODELING GARAGE ADDITIONS EXTERIOR ADDITIONS HURRICANE IMPACT RESISTANT WINDOW AND DOOR INSTALLATIONS AND MORE! Custom Tile & Marble, Inc. is a leading tile and marble installations company serving the Miami-Dade & Broward county areas. Whether you are an Architect, Designer, Contractor or Residential Home Owner our expert craftmanship and attention to detail will bring your project to life. We pride ourselves in consistently following project schedules and standing by our guarantees. If you are remodeling or building from scratch, Custom Tile & Marble, Inc. will utilize its 30+ years experience to handle both your interior and exterior needs. Our company is fully equipped to handle all phases of marble, stone and ceramic tile installations as well as polishing and sealing your residential or commercial needs. We have been serving the Miami area for over 30 years and pride ourselves in providing personalized professional service to achieve a top quality product on time and within the budget specified. Arsenio Blanco Jr., Alan Blanco and Ricky Fraginals are always available and at your service for all your flooring needs! Nemes Contracting is a building contracting firm located in Fort Lauderdale, Florida. Our team services Broward, Miami-Dade, and West Palm Beach counties and we are licensed and fully insured. Our personalized approach and relationship distinguish us from the rest. We guide you step by step through the process and take the time to ensure you understand all of your options to help you build your dream home. "Fine Custom Homes". Since 1995. Southeast Florida General Contractors. We renovate, design, and build custom homes inside and out. We are a family owned business and that is where the love of our job comes from. Whether we are working on a large scale build or a small budget project we take pride in every job we complete. Our family has multiple generations with the initials G.G.L. We are proud of our family name and we are proud of the services we provide. Since 1983, Quantum Property Services has been doing remodels, renovation, home improvements and impact windows and doors throughout the Miami-Dade and Broward County areas. We are a full-service general contracting company that is focused on turning your dream project into a reality. 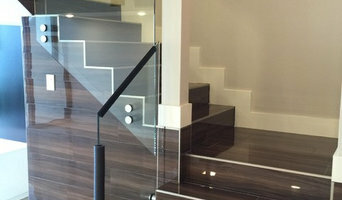 We are a phone call away and can meet you at any time to discuss your home projects. 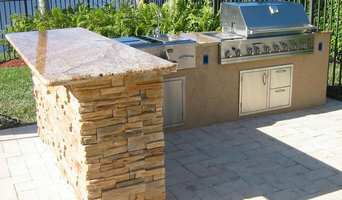 We are a design and construction firm specializing in new and remodel projects in South Florida. By providing a turnkey service to our clients, we aid in the entire process from designing to building. We achieve our designs by integrating architectural technique and strategy to focus on a build-out that is completed with attention to detail and meticulous project managing throughout. We offer a seamless process involving our direct sources of engineers and architects ensuring that you are steered away from any obstacles that may come with dealing with trade professionals individually - we take care of all the details for you. Led by Jorge Gutierrez, Om Construction Services is a full service remodeling company serving the custom renovation needs of the Dade and Broward County since 2005. Citrine® Quartz Stone originates from a large family specializing in natural stone works for over four decades. Citrine® Quartz Stone is a registered trademark and manufacture of a type of proprietary quartz stone made of 94% natural quartz and 6% resin, giving it a high resistance, none porous and high luminous surface. Citrine® Quartz Stone is the modern high-tech sophistication for kitchen, bathrooms, and vanity counter tops designs. Whether your life style favors the functionality of ultra-modern minimalist elegance, or the charm of a classic style, Citrine® Quartz Stone, Inc., offers a unique solution, bringing creativity to the surface with clean, original, durable shapes, and a variety of authentic Citrine® Quatz Stone colors, for your project. Citrine® Quartz Stone is a gorgeous rendering of Italian marble, our designers and engineers work endless hours to produce sleek, durable surfaces, that are easy to maintain and clean. These are widely used in public buildings (airports, malls, hotels, banks, hospitals, etc.) and by interior decorators, cabinet makers and housing developers just to name a few. Upon receiving your finished counter top or slab you will discover the confidence inspired by Citrine® Quartz Stone and enjoy a material that will shape your imagination for generations to come. Citrine® Quartz Stone has begun to supplant the natural granite and marble, as it is much more durable, and stain resistant, wear-resistant, pressure resistant, acid and alkali resistant, radiation resistant product with high luminescence that will never fade and does not need to be sealed. Citrine® Quartz backs all its products with a the only true Lifetime Warranty in the market. Our mission is to offer our customers high quality natural quartz stone at a reasonable price that will be cherished and handed down to generations to come with exclusive new trendy designs to celebrate the joys of life. If you have any questions or concerns regarding or Citrine® Quartz Stone, please give us a call and we will be more than happy to assist you. We believe that every project deserves the same kind of attention, no matter if it's a one room remodel or a new build of a multimillion dollar structure. To us, quality is achieving the best results, with the highest-grade material, at the lowest cost to you. That is how we define quality and that is what you're getting with NAFA Construction Group. Alpha Marble is a privately owned company and operated since 1986 and is your "One Stop Shop" that can fulfill all of your needs to fabricate and install your custom marble, quartz, or granite counter-tops, backsplash, and bathroom vanities Our expert craftsmen do it all, from quality fabrication of all sorts of granite, quartzite, quartz, marble, onyx, and all natural stones Alpha Marble Inc. is privately owned and operated for over 30 years on the market of South Florida, so if you're looking for the right group of expert craftsmen to fabricate and install your marble, quartz, or granite stones, this is the right place for you! Our services: Kitchen Countertops, Bathroom Vanity Tops, and made to order custom tops. 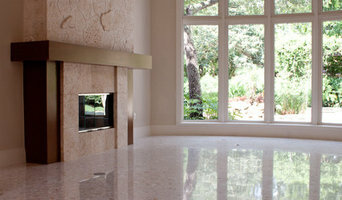 We fabricate Granite, Quartz, Marble, or any stone of your choosing. Also, we install Main Floors, and Bathroom Floors with Marble, Porcelain Tile, or any material of your choosing. Our services are known to be the "Alpha in Marble" through our years of experience and expertise to bring directly! to all homeowners the highest quality and attention to detail, for reasonable rates.